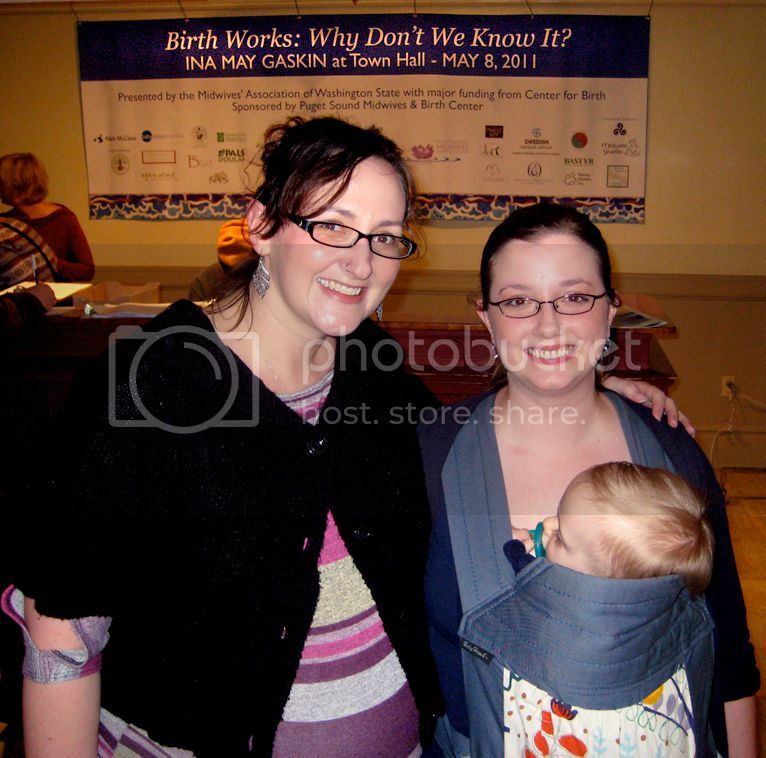 In a presentation named Birth Works: Why Don't We Know It? 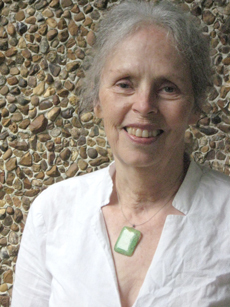 (a title which made me happier than I can express), Ina May took us through a personal history of her own birth and midwifery experiences: a dismal hospital birth as a first-time birthing mom in the 1960s, followed by a turn toward the hippie lifestyle with her husband, Stephen Gaskin, and a fascination with pregnancy and natural birth — since she was offered plenty of experience witnessing both in their communal life. After Ina May had already attended a couple births, she was fortunate to receive an offer of training, which she happily accepted. 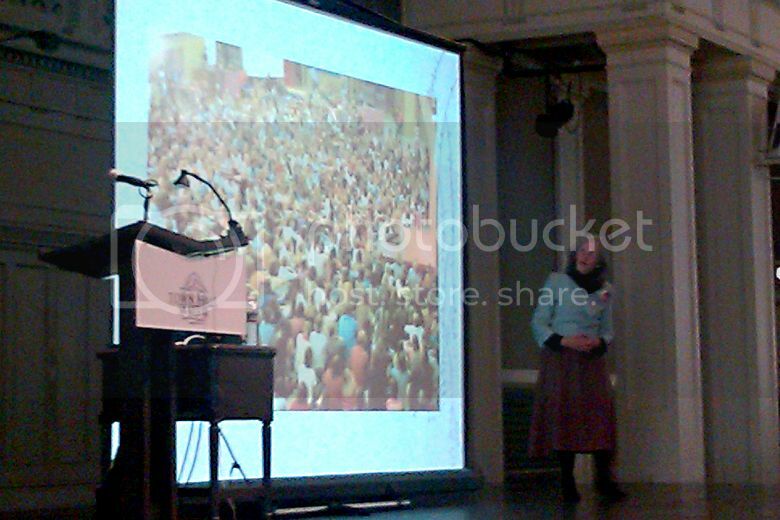 Ina May shows a photo of Stephen Gaskin's famous Monday Night Class, which attracted all sorts of spiritual-minded young people, many of whom ended up in The Farm community. From there, it was a matter of continuing her education in midwifery and increasing — greatly — her experience in natural birthing. She has techniques under her belt you'll never hear from an obstetrician: having someone jiggle the back of your thighs and buttocks during a contraction to loosen you up, encouraging open-mouthed kissing of a partner to send positive hormones coursing through and relax the cervix, and just in general opening and relaxing your mouth and jaw — one easy opening begets another. She talked about how oxytocin doesn't come just in a vial (as synthetic Pitocin or similar) — that it is a natural chemical in our bodies, and there are ways we produce it to stimulate labor, and to help with postpartum complications like hemorrhage. She scoffed at the notion that every woman needs artificial assistance with birthing the placenta and stopping bleeding — as if the natural way of things would have been so careless. She showed us this video of an unassisted elephant birth to illustrate some of her points. Before you watch it, let me warn you that it's a happy ending but was somewhat distressing to me as a pregnant woman to watch, since it takes awhile and a lot of instinctual effort from the mama elephant to persuade the baby to breathe. Elephants think nothing of giving birth to elephants. No one warned this mama her 250-pound baby had macrosomia. If you watch the mama during the pushing, you'll see she throws her trunk back and opens her mouth, which relaxes her sphincter. There is no yelling, screaming, or elephant swearing ("Tarzan!"). Most of that huge gush of fluid and blood would have been absorbed by the natural landscape if the elephant weren't in captivity. The mother knows what to do to get her baby to breathe. It would have taken several people to make the same efforts she does, and they probably would have done it wrong. 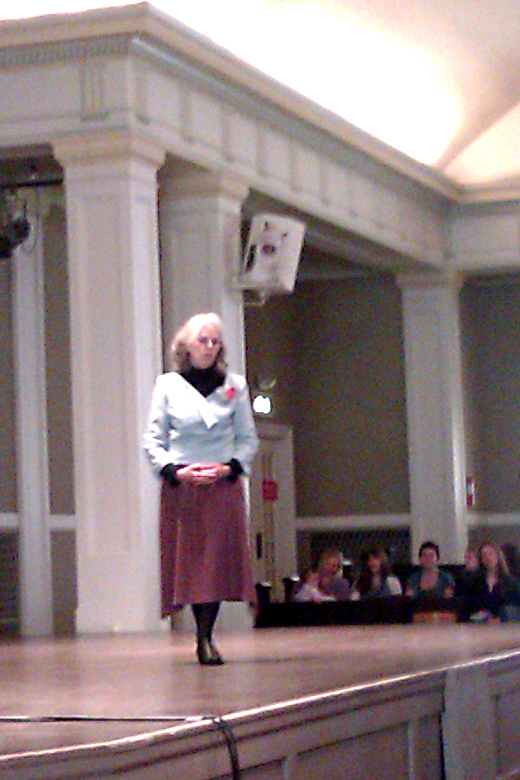 But my favorite part in the whole presentation had to have been at the very end as Ina May was wrapping up. She came to the slide in her PowerPoint that talked about how our fear and disgust of our bottoms and their functions is what makes us distrust and freeze up when it comes to birth. She exclaimed that she preaches "love for butts!" as she punched a fist in the air. I'm taking that to heart. The heart of my bottom. Since I'm a big library fan, I didn't have my own copies of any of her wonderful volumes, so I quickly snagged the latest at the Bastyr University book-sale table: Birth Matters . Amy had brought her copy of Spiritual Midwifery (originally published in 1977 for the psychedelic crowd — peace, sisters!) and, perhaps more importantly, her actual camera. 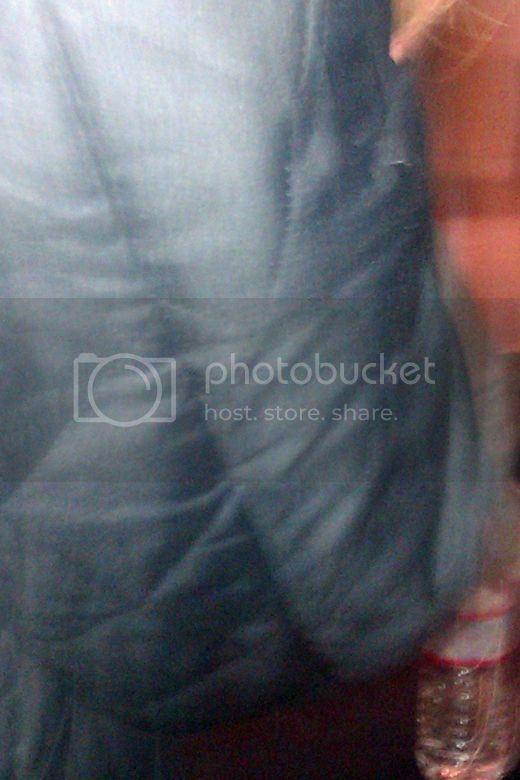 This picture is copyrighted. Don't even be thinking of trying to steal its fineness. Amy and her partner to the rescue! 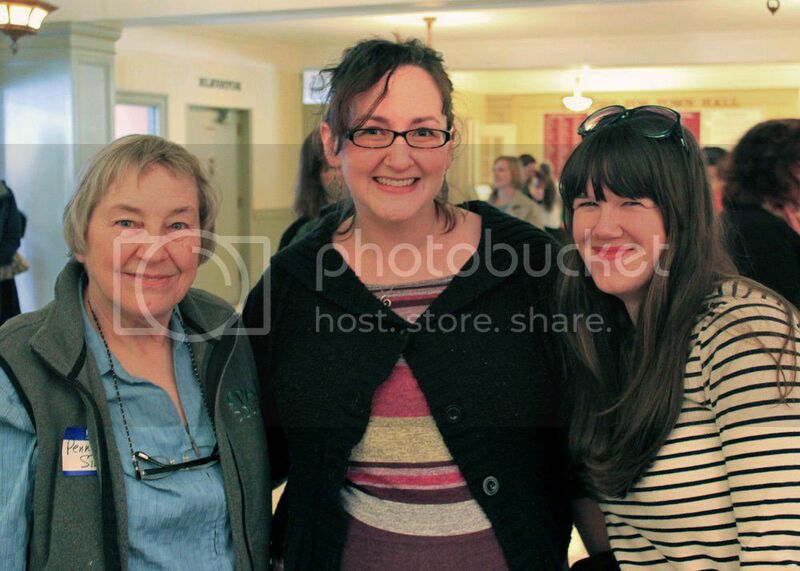 We took other photos at the midwifery conference and elsewhere, so I'll share them here. Someone crashed our photo op. I told Mikko ahead of time we were meeting Amy, Jaymz, and a little boy named Daniel. He digested this and his only comment was, "I hope he brings cookies." Despite the fact that Daniel did not, in fact, bring cookies, Mikko loved meeting them all and was disappointed when they left and he had to stop showing off for them. He's already asked to go visit them at their house. I met Stefanie from very, very fine, when she kindly allowed me to cut into the will-call line with her and her partner. I had taken the bus and not realized what seemed like a short walk from the stop was all uphill. So I was grateful for the chance to cheat on the standing-in-line bit. As we were waiting for our tickets, who should come up to us but Seattle resident Penny Simkin! 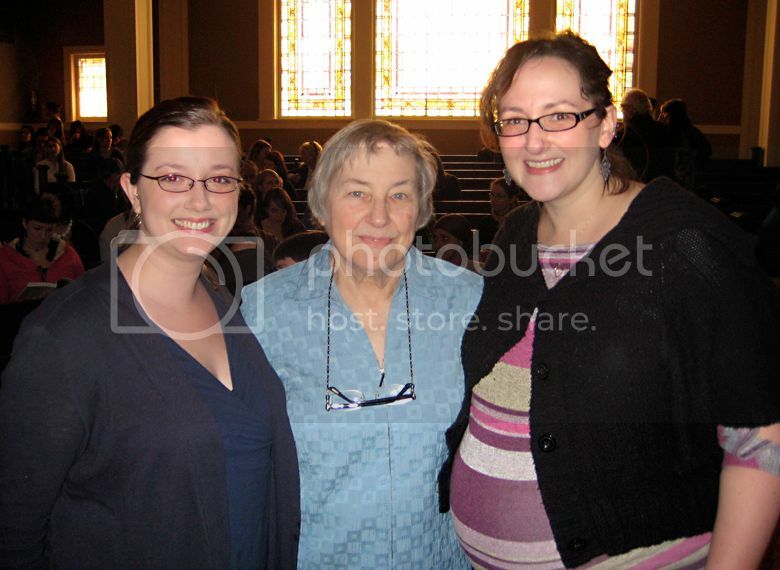 If Ina May is the most famous midwife, Penny is likely the most famous doula and childbirth educator. I had just been reading over her book, The Birth Partner: A Complete Guide to Childbirth for Dads, Doulas, and All Other Labor Companions , the day before. I have it stashed in my birth kit in case Sam and I need it, and he read it through and took notes before Mikko's birth. Penny was a sweetheart about agreeing to pose with us and said to put the pregnant woman in the middle (that would be me!). She asked me when I was due (May 24, if y'all must know) and said she had had a child due the same day — but he was born June 14. Ha! See, that would give me enough time. Then I went in to the auditorium to meet Amy, and she was envious when I told her of my Penny Simkin encounter, since she's one of Amy's heroes as well. Who should come sit near us, in the reserved section, but the very woman we were discussing! You could sort of see the look in Penny's eyes as she worried she'd acquired a stalker in the stripy pregnant lady. 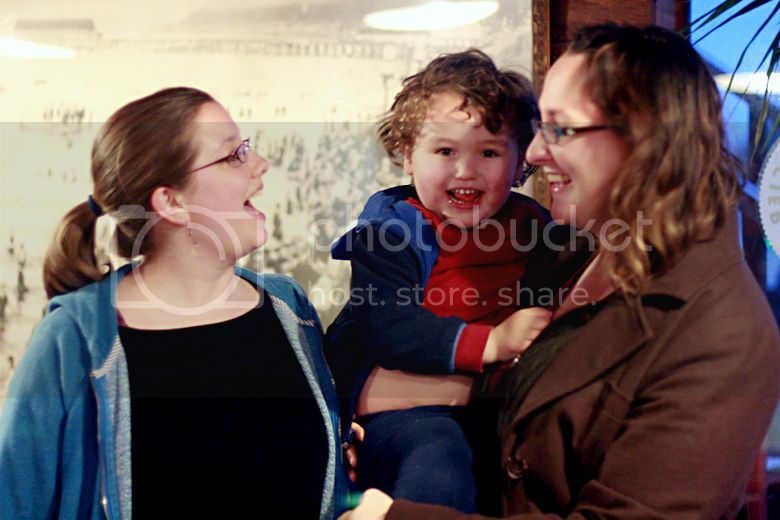 I also met up with the midwife who attended Mikko's birth, which was a nice surprise. She was there with one of her daughters, and she gave a strong recommendation for my current midwife, so that was reassuring. 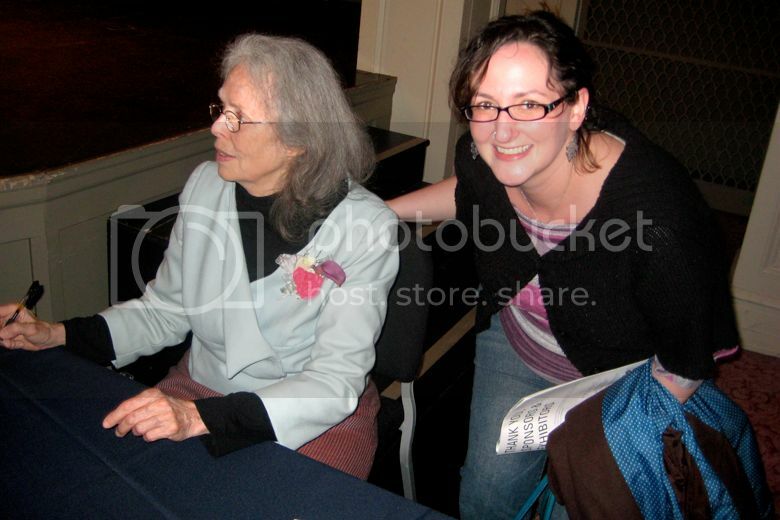 I would like to offer my Ina May Gaskin-signed copy of Birth Matters to one reader who wasn't lucky enough to have seen her in person! I would keep it for myself, but I've gotten in line for it at the library, and I've decided it's better for me to pass it on so you can experience some of the Ina May love. The book is described here as "a spirited manifesta showing us how to trust women, value birth, nurture families, and reconcile modern life with a process as old as our species." I've resisted reading this copy so I don't ruin it for the winner. (I'm one of those rebel library users who doesn't always wash her hands before reading.) But in a brief flip-through, I'm already entranced. 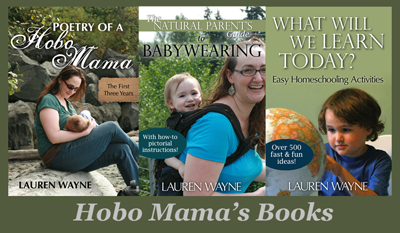 To enter, simply pop over to Hobo Mama Reviews and leave a simple comment there. There are also several bonus entry methods to increase your chances of winning. Leaving a relevant comment on this post is one of them, by the by! The contest ends June 6, because it's my anniversary and sounds pretty. And, unless Penny Simkin's recollection was also prophetic, I will have a new baby in my arms by then. Just imagine! Remember to visit Anktangle for Amy's take on the Ina May presentation, and head to Hobo Mama Reviews to enter the contest. 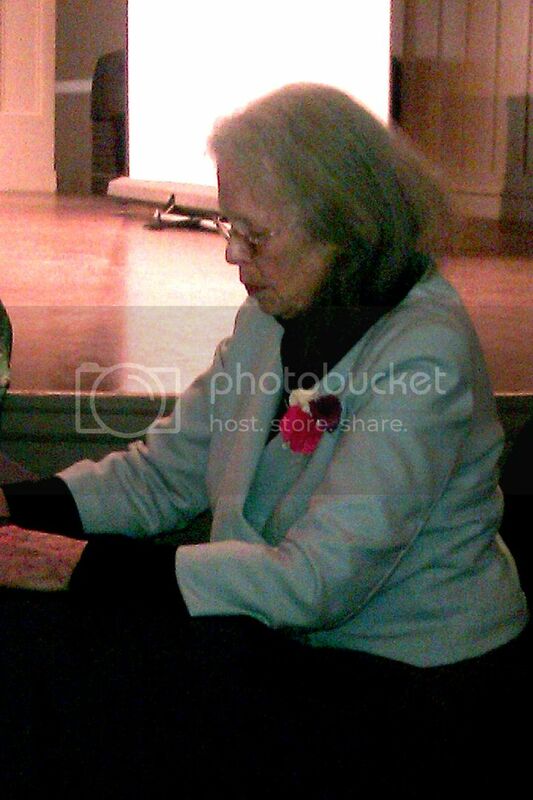 Ina May changed my LIFE. I was excited to become a doula but after I read "Ina May's Guide to Childbirth" I became ecstatic about becoming a doula. It is a dream of mine to attend a midwifery workshop at the Farm! It sounds like an amazing experience!! I love her Guide to Childbirth book. I too could "hear" her voice throughout my (very short) labour and delivery of my second child. I wish I'd read it during my first pregnancy! I'm reading this book right now and it is fabulous!! I keep stopping and reading parts out loud to my (very understanding) husband. I love it. What a wonderful story! I am so happy you got to meet such influential women. 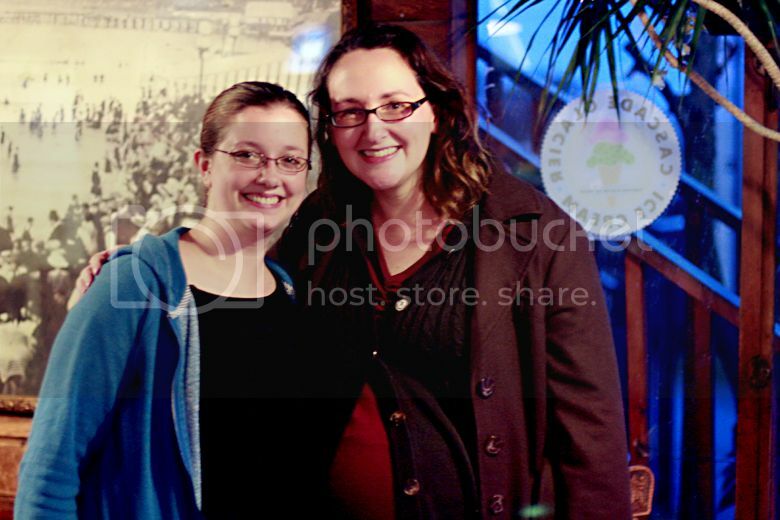 Jealous indeed that you were able to meet such an influential member of the natural child birthing community! I just love your blog, Lauren! Lauren, the key to getting a quality Ina May photo is willingness to be a creep. My favorite part about the interaction was that after I asked if we could have our picture taken with her ("um, hi, sorry, we really love you and um would you take a picture with us please? sorry, sorry"), Ina May was totally like, "err...uh, okay." Thankfully, she looks more pleased in the photo than she was in actuality. 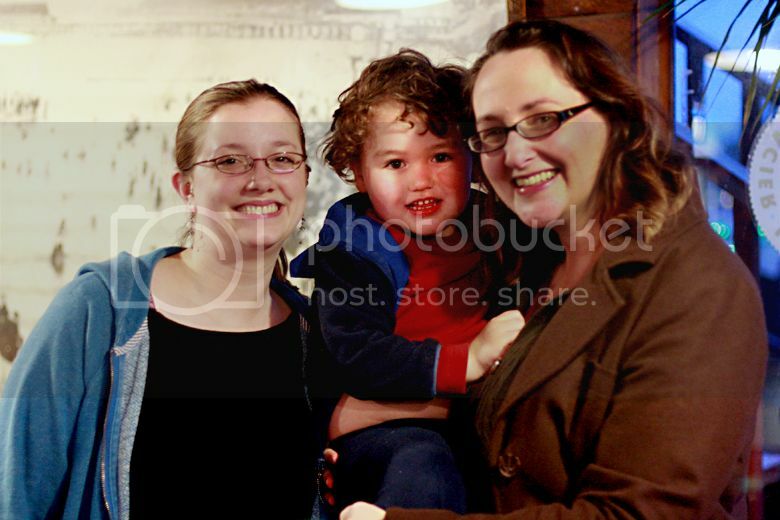 So nice to have met you there and glad we all got such a rad Mothers' Day treat. How amazing that you got to hear her speak!! I never knew that childbirth could be treated in such a natural, beautiful way until I read Spiritual Midwifery. She is truly one of a kind and a real blessing to women across the world!! I too read Ina's guide to childbirth and flipped thru spiritual midwifery when i was preggers. She has SUCH a wonderful view on pregnancy and birth. makes so much sense. I'd love to read her new book. IMG and her books are what really gave my husband and I the impetus, and the confidence to birth naturally and at home. She is one wonderful lady! I love her breastfeeding book, haven't read any of her birth books... yet! What a breathtaking and moving video of the elephant giving birth! Thank you so much for sharing this post and I would really like to win that copy of the book! I got to go to this (and just days after I found out I was expecting my third!). I had to hurry out of there before the book signing and would've loved a signed copy of her book! I have dreams someday of becoming a midwife. I wish I could say that I love Ina, but to be honest, this is the first I hear of her. I am very new to the whole notion of home birthing, Ive been going through a back to the roots sort of process, and Ive been avidly reading what I can find on this subject and have been met with mostly negative responses, as in I would be crazy to put myself and my child at risk through the silly notion of at home birth, I will definetly look her up! Lucky, lucky, lucky lady! I'm reading her second book right now, her guide to childbirth. You are so generous to give up your copy to someone! I'm going to go enter! So amazing! 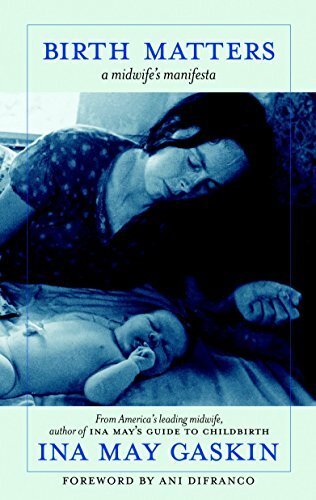 Ina May's Guide to Childbirth was the one book that convinced me to have a home birth. I would love to met her! Ina May's Guide to Childbirth had such a tremendous influence on how my labor went. My doula recommended reading it when I started feeling anxious about my natural birthing plans and I read it twice. It was possibly the most empowering book I've ever read, helping me to trust my body and see the beauty in my natural ability to birth my child. I haven't read anything else by her yet, but I'm a huge fan! I read Spiritual Midwifery when I was pregnant with my first, it really helped me through my 28 hours of hard labour! SO very jealous. I love Ina May and I'm getting ready to have my 2nd homebirth (any day now) I've read her other books so many times and each time I pick up something new. i love ina may! wow what an experience! I love midwives because they have got magical hands and believe in the power of women!